Amy Elizabeth Gleeson, a native of the United States, has made Newcastle upon Tyne her home with her husband David since 2011. She currently works part time as a music teacher at Easington Academy in Co. Durham and maintains a private violin/viola studio in Gosforth. Her work also involves keeping up with her eight-month-old son, Aidan, and three-year-old daughter, Emma. 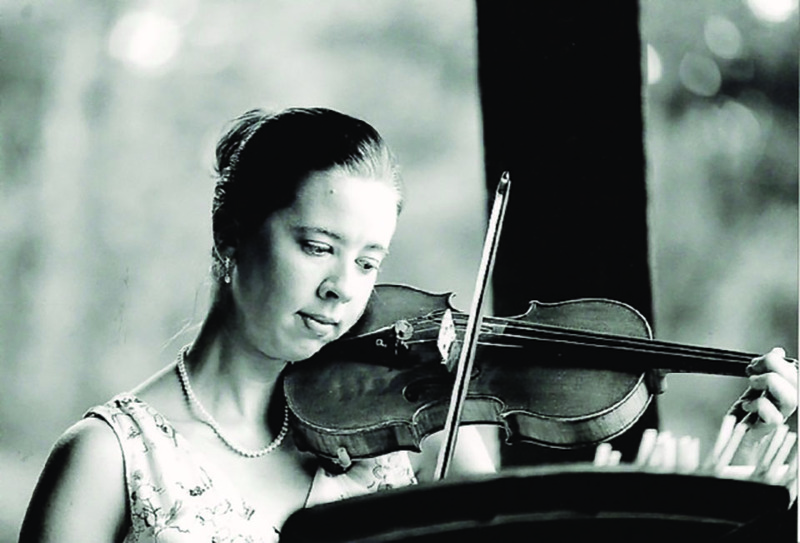 Mrs. Gleeson began violin at age eight in the state school system of Iowa after studying piano for two years. She wanted to share her passion for music with others and obtained her BMus (Hons.) in Music Education-Instrumental from Florida State University in Tallahassee, Florida, and her Masters in Music Education from VanderCook College of Music in Chicago, Illinois. From there she taught thirteen years in the state school system of Spartanburg, South Carolina, instructing over a thousand string players in a string orchestral setting. Her students consistently received superior ratings at concert festivals and solo/ensemble events throughout the state. She was awarded Teacher of the Year at her school in 2009 and American String Teacher: South Carolina Orchestra Teacher of the Year in 2006. Mrs. Gleeson has performed with the Spartanburg Philharmonic in South Carolina and sat concert leader for the Jubilee Orchestra in Asheville, North Carolina. She has performed professionally for local theatre companies, churches and weddings. As a music educator she was president of the South Carolina Music Educators Association (SCEMA) from 2009-2011 where she oversaw all string musical events and teacher continuing education in the state. She has both presented at and run the SCMEA conference in Charleston, South Carolina, and been a guest conductor for the Region Honours Orchestra in Columbia, South Carolina. Mrs. Gleeson joined the Northumberland Orchestral Society shortly after moving to England and has recently become concert leader.